Would you make a good compliance manager? Take our career test to find out how you match with this and over 800 other careers. What is the workplace of a Compliance Manager like? A compliance manager is a professional that keeps the legal and ethical integrity of a company intact through policy enforcement and program planning. He or she makes sure all departments of a business are complying with the rules and regulations the company upholds. Compliance managers are responsible for keeping up-to-date with changing laws that affect the corporate world, and are responsible for preparing reports to present to their upper management detailing these laws and how the employees of the company are following them. Compliance managers work to identify where issues with legality and ethics within a company are taking place, and then will fix these problems quickly and effectively. Depending on where these problems occur, serious compliance problems may result in legal consequences or firing of the individual breaching compliance within the company. Compliance managers work with upper levels of management to ensure strategies are in place to deal with compliance problems when they occur before the reputation and integrity of the company and its staff are jeopardized. Apart from working with upper management, compliance managers are responsible for creating and enforcing plans of action related to ethical and legal behaviour within the company. Compliance managers must also assign different sections of the amount of work that needs to be done by other members of the compliance team, as well as setting up team and group meetings and the materials that will be discussed during the assigned time. Along with creating and organizing short-term goals for their department, compliance managers must create long-term goals and plans for methods that will ensure no illegal activities occur within the workplace. Compliance managers must be able to recognize the seriousness of an ethics breach within the company. After the level of the breach has been established, the managers will use their professional knowledge to decide the fates of the people involved in the situation at hand. Ethical behaviour in the workplace is a must, and compliance managers see to it that when illegal or unethical conduct is at hand it is dealt with immediately. 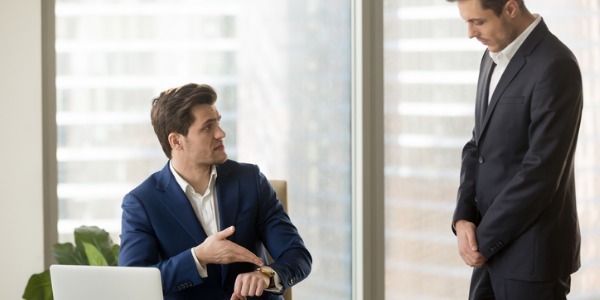 Compliance managers see to it that there are multiple options available to the upper management in terms of punishment or termination, and then help them make their final decision. Many compliance managers work outside of human resources as well. The financial department of any company will often hire compliance managers to see that their finance department is running correctly, without any foul play. Manufacturing companies and financial institutions use compliance managers to see that all of their departments are running free of corruption and unethical behaviour. Quality assurance departments are also excellent places for compliance managers to work. Making sure that products are safe for human consumption, whether in the food industry or other manufacturing industry, is a tough job that is well suited to a compliance manager. Ethics not only slip in the financial and HR worlds, but also in the production world as well. Compliance managers see to it that all safety regulations and laws are followed; and when they aren’t, the managers work with executives, management, and board members to see that the problems are taken care of and solved as quickly and as effectively as possible. Are you suited to be a compliance manager? Compliance managers have distinct personalities. They tend to be enterprising individuals, which means they’re adventurous, ambitious, assertive, extroverted, energetic, enthusiastic, confident, and optimistic. They are dominant, persuasive, and motivational. Some of them are also conventional, meaning they’re conscientious and conservative. Does this sound like you? Take our free career test to find out if becoming a compliance manager is right for you. Compliance managers work closely with other people in a team setting generally in an office within the company building, such as in the HR department, legal services, or financial offices. The workplace of a compliance official is a fast-paced environment that must be carefully organized. 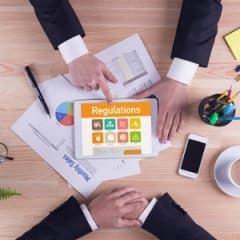 Compliance managers must make the workplace run smoothly with no room for error within the legal and ethical systems to protect the integrity of the company and the reputation of the products the company is known for.